Michael W. Whittaker's practice focuses on advising companies in business and corporate transactions, including M&A, private equity, venture capital and joint ventures. His clients range from large, multinational enterprises to entrepreneurs looking to form their first company. Mike has helped form hundreds of Delaware companies and can advise clients on all stages of a company’s life cycle, from inception, through fund raising and operations, to winding up and dissolution. Mike advises clients in an array of different business sectors on commercial, business, general corporate and other contractual and legal matters, including the drafting and negotiation of contracts and agreements in a wide variety of business transactions, including supply and distribution agreements, sale and purchase agreements, equipment leasing agreements, joint venture and joint development agreements, mergers, acquisitions and divestitures, licensing agreements, secured and unsecured loans, venture capital and private equity transactions, as well as other general corporate, business and commercial transactions. 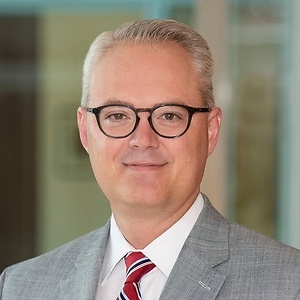 In addition, Mike routinely provides advice regarding the formation, operation, and dissolution of Delaware alternative entities, including limited liability companies, statutory trusts, partnerships, and special purpose corporations, and their use in complex business and commercial transactions. Mike also regularly acts as Delaware counsel to banks, trustees and other financial institutions involved in structured finance transactions, securitizations and other lending and finance transactions. Mike's practice often involves authoring opinion letters on matters of Delaware law, the Uniform Commercial Code, federal banking law, as well as rendering true sale and non-consolidation opinions.